As the Irish home building industry picks up apace, so too has the arrival of new innovations into the construction sector. 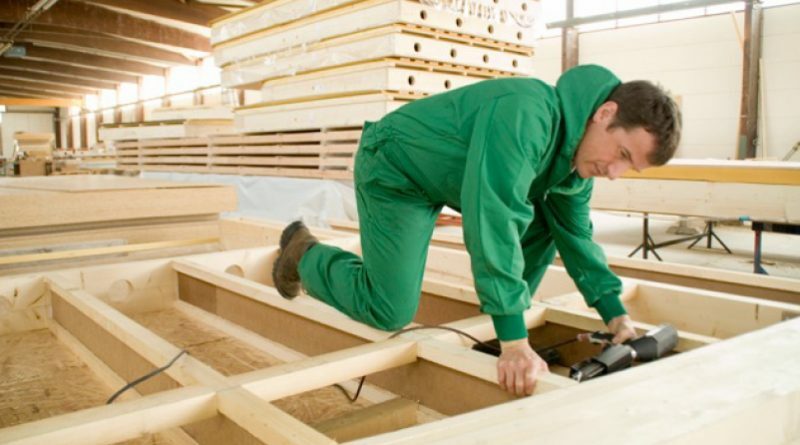 This is no more evident than in the increasing use of I-Joists as a replacement to conventional timber joists, as I-Joists are designed to give designers more scope to increase the size of living space and provides the builder with more cost effective options. 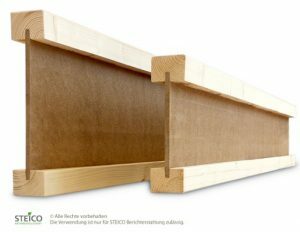 Wood Concepts, Ireland’s largest distributor of timber products in the construction sector, is now supplying an innovative new I-Joist, german engineered by Steico, and made in Poland. Steico is Europe’s leading timber innovator, that provides multiple benefits and savings of up to 30% to housing developers and builders. Stronger and more stable than timber, it will provide housing developers and builders savings of up to 30%. As Steico I-Joists are stronger than solid timber, and more dimensionally stable too, they provide architects flexibility to design for longer spans than conventional timber joists offer, thus reducing the need for supporting walls below and thereby increasing living space within the home. Steico I-Joists are designed to perform better than conventional wood joists by having a great strength-to-weight ratio therefore providing lighter, longer spans. In doing so, I-Joists are structurally sounder, dimensionally more accurate and being lighter, much easier to handle on site. And they are more cost effective too, yielding savings by costing less than metal web joists, while remaining quicker to install as they are easier to handle on-site. All Steico I-Joists now are available with pre-ducted openings to accommodate cabling and plumbing. Working from your architectural drawings Wood Concepts has a facility to manufacture I-Joists to match your exact need. Manufactured in a controlled environment, the I-Joist’s have low moisture content, meaning they stay more stable over time. The long-term advantages of Steico I-Joists is they will not bow, crown, twist or split as a conventional timber joist would. I-Joists’ dimensional soundness and no shrinkage helps to eliminate squeaky floors too. Wood Concepts also provide a flooring solution which guarantees no more squeaky floors. Steico I-Joists are available directly from Wood Concepts and can be ordered via your local builders merchant.